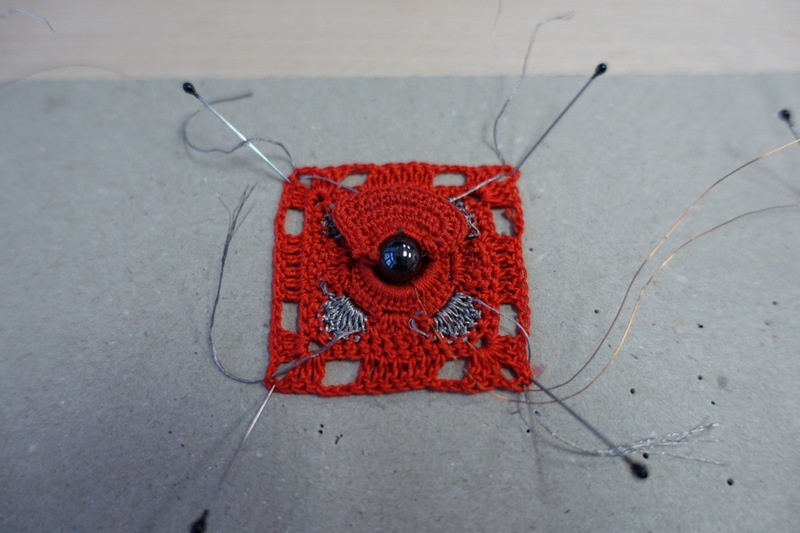 This is an overview to an experimental investigation into using crochet as a method to create electronic switches, and eventually, logic gates. 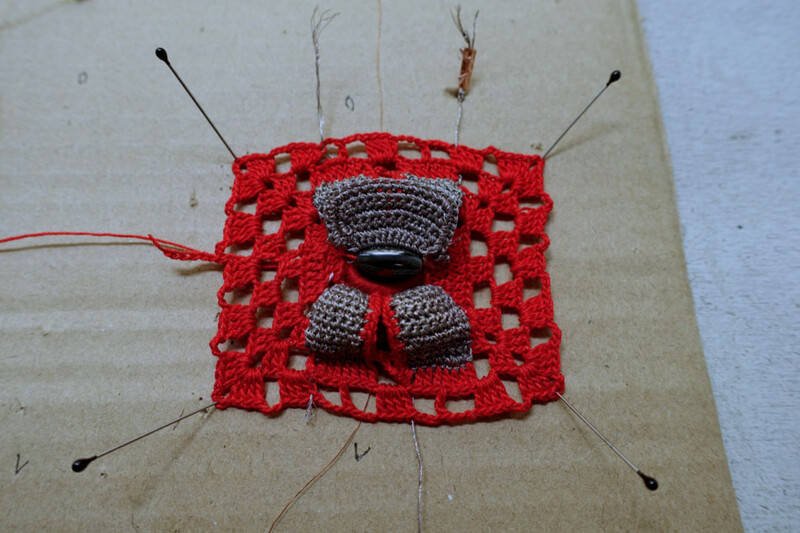 – The very first test. 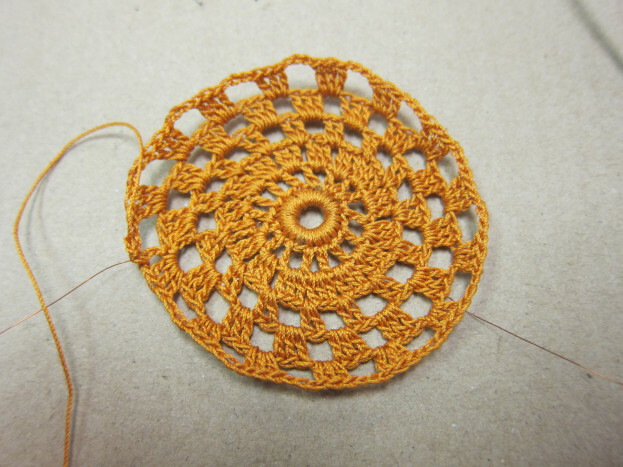 Creating a crochet motif around a coil. 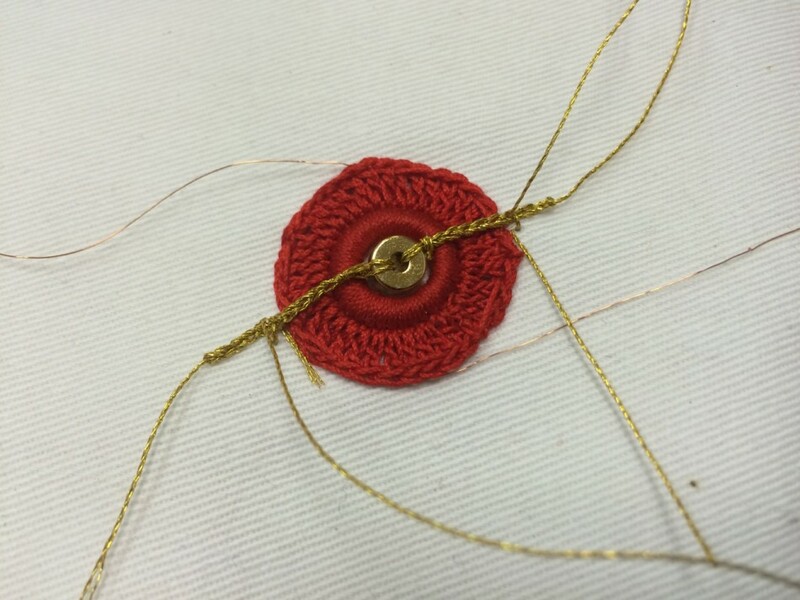 Placing a strong magnet jewellery closure in the center as the moving object. 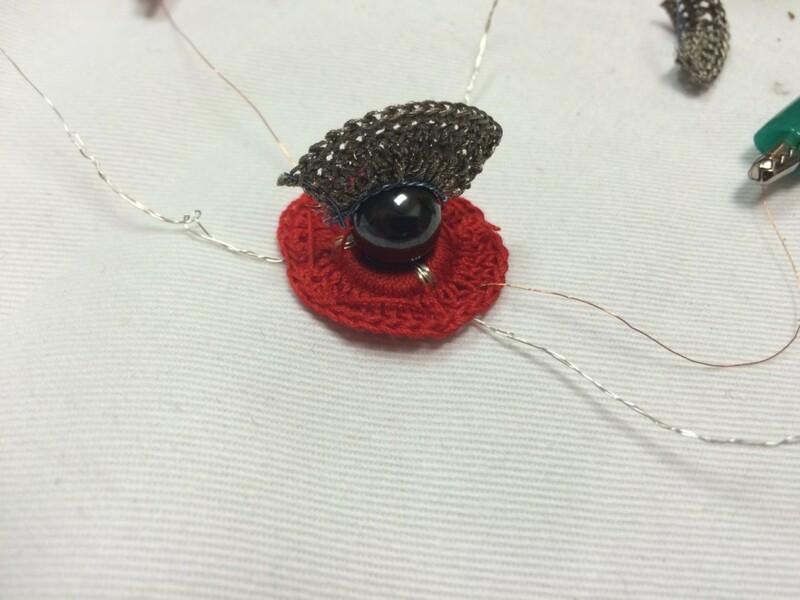 Creating a circuit with conductive yarn to be closed by the moving conductive magnet. 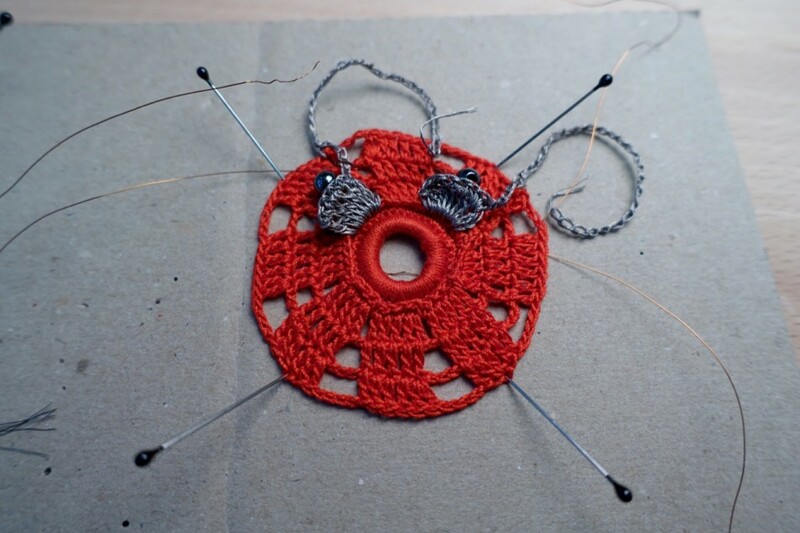 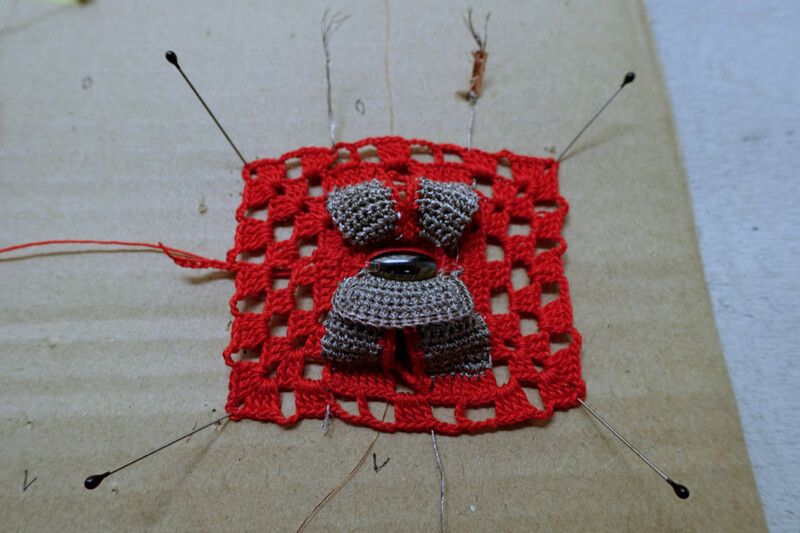 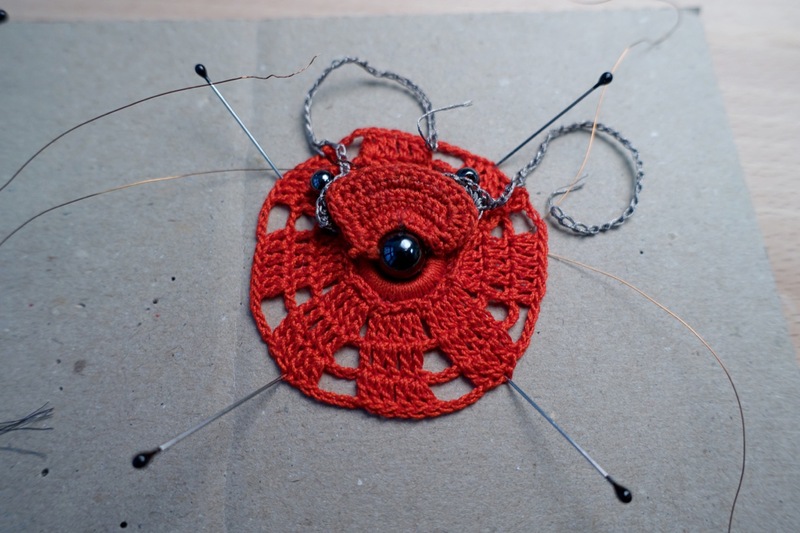 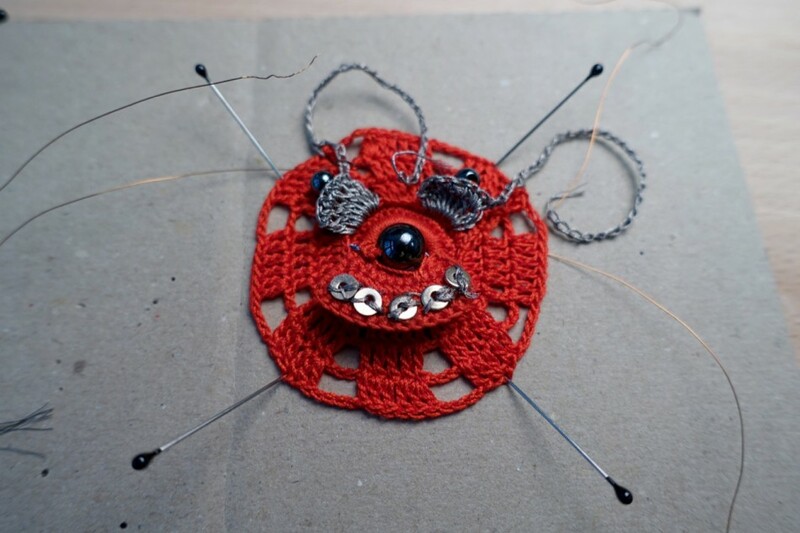 – Developing a granny square style motif that integrates the coil and two circuits that can be closed by one magnetic bead. 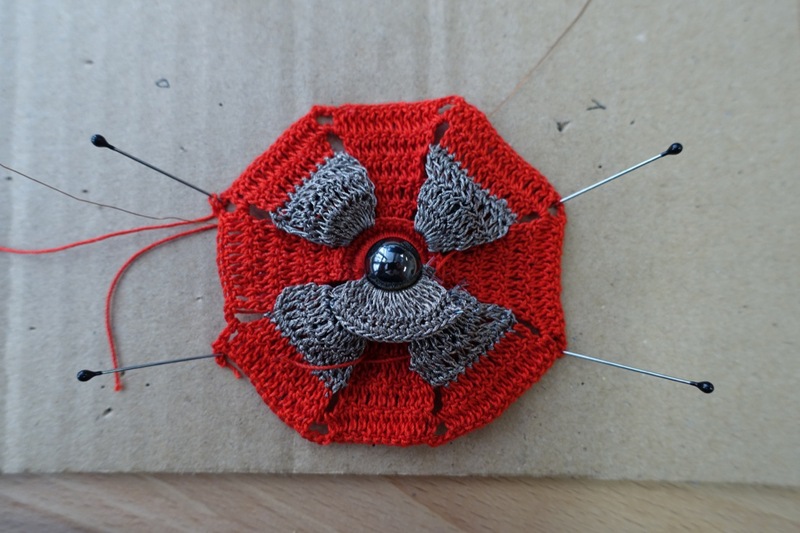 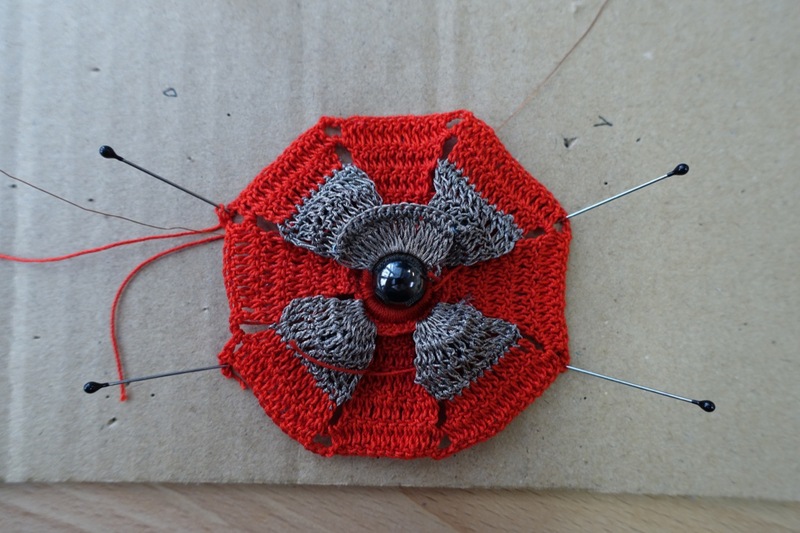 – Looking for possible ways to raise the conductive areas to a higher point and make them physically accessible to the conductive wing… The conductive areas are created on a separate crochet layer, attached to the main motif. 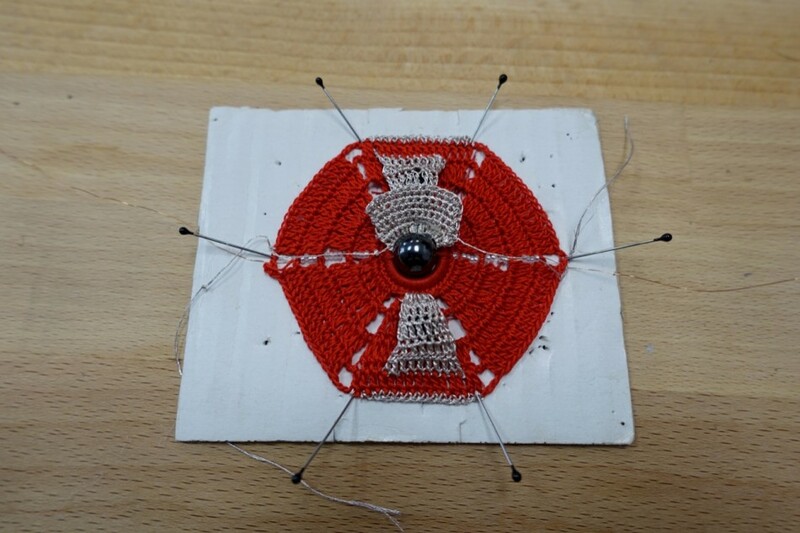 These areas are then raised to a 3d form by the help of beads that are placed underneath. 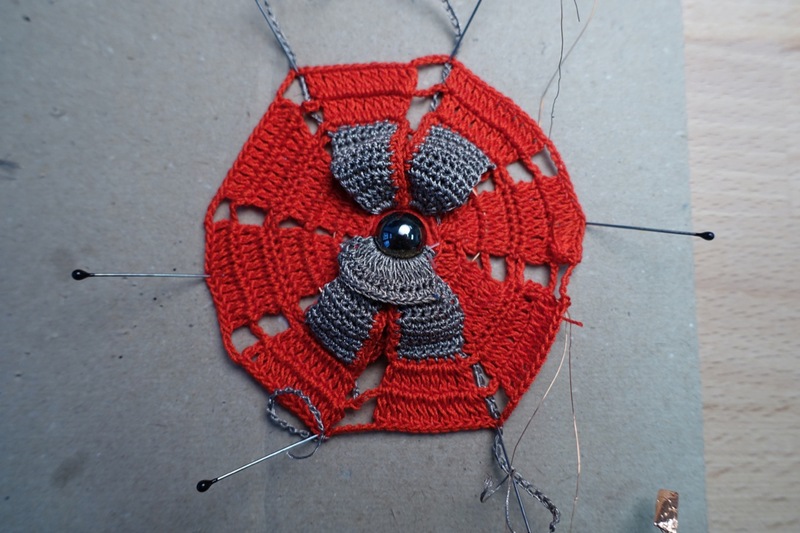 – Form-finding experiments… Testing an octagon form. 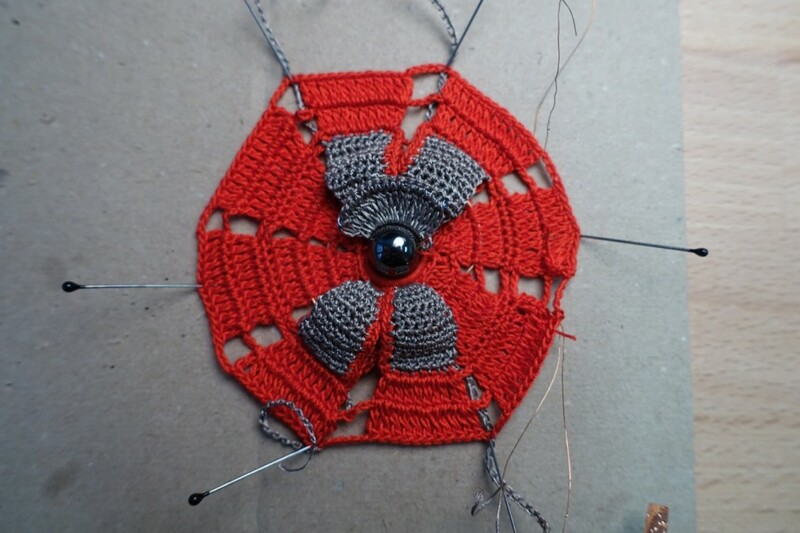 The conductive areas are spread in a diagonally symmetrical way. 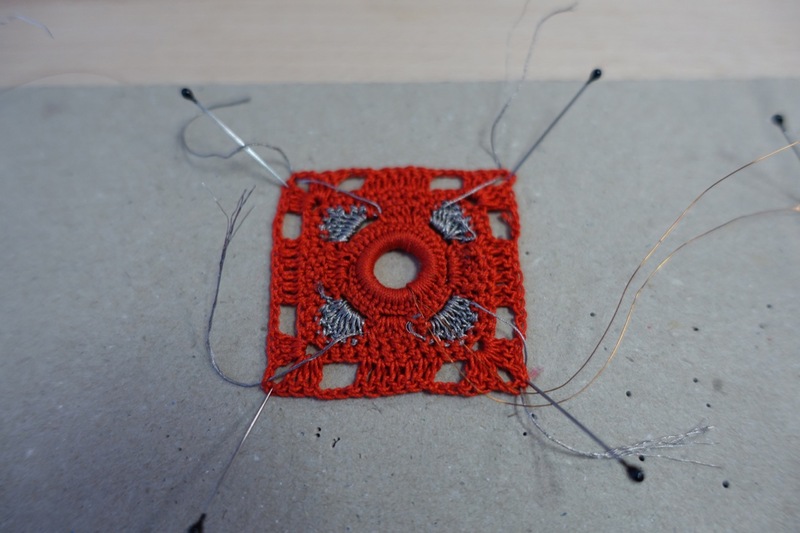 One non-conductive area is placed in-between two conductive areas. 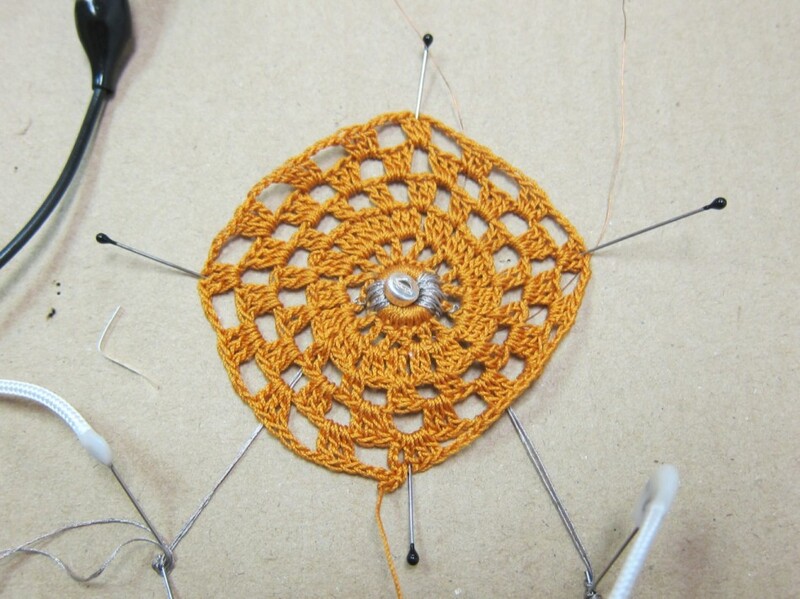 – Another octagon. 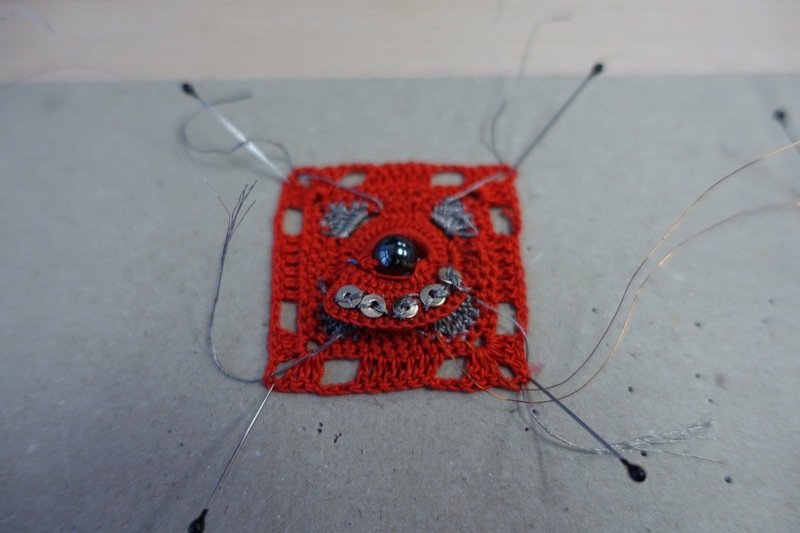 This time the two conductive areas that belong to the same circuit are placed immediately next to each other. 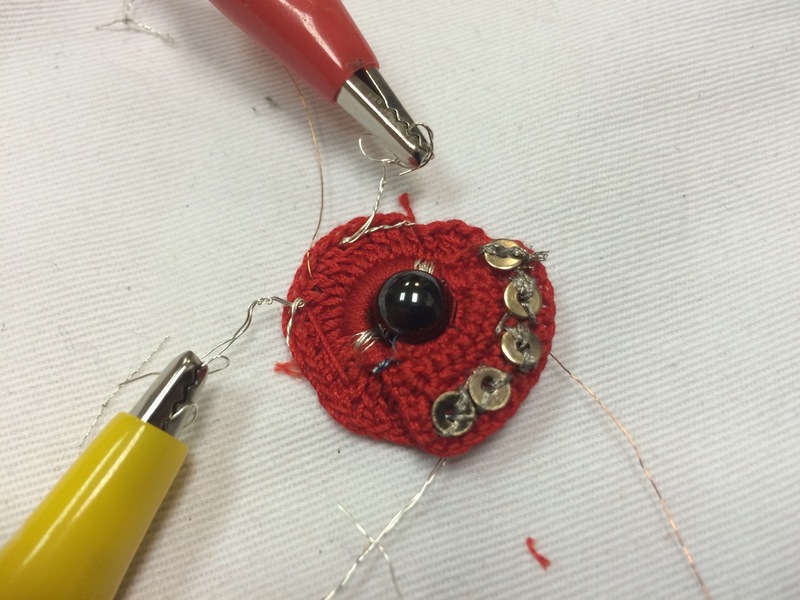 – Using an oval form bead instead of a spherical one. Making a rectangular motif with an elliptical center coil. 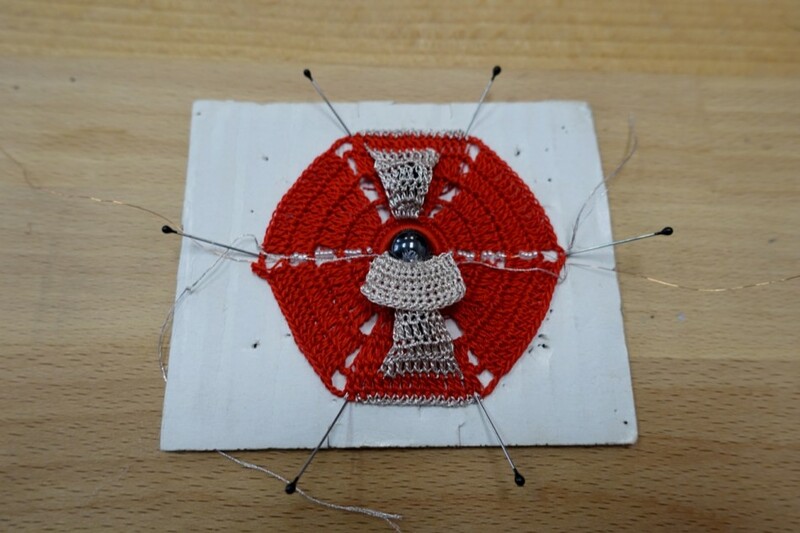 Creating a potentially more reliable switch by improving the chances of physical contact between the three conductive areas.